Sony has made it official: the Playstation 4 is on its way. 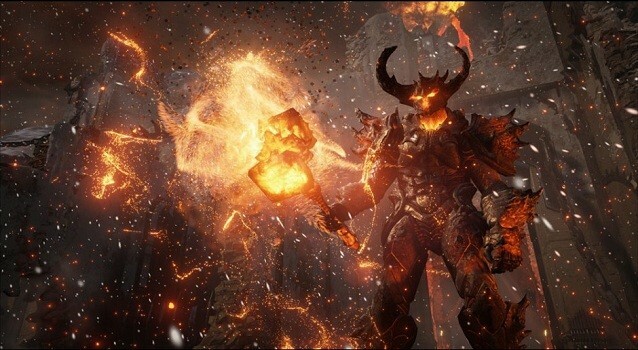 To showcase the power of the system, Sony took to the stage and showed a live demo of the Unreal Engine 4. We’ve seen screenshots of the footage before, but we’ve never seen the demo actually play out live. The Playstation 4’s new controller was able to use the touchpad to look around and within the environment to get a more immersed feel. The graphical power was extremely impressive and the particle effects from the first character’s hammer showcased embers and detail that would never been possible on the Playstation 3 or Xbox 360. The Playstation 4’s controller also features a bar that allows the system to pinpoint just where the user actually is within their room. Deep details weren’t provided on just how developers might use this, but with the Playstation Move functionality being built into the system we can begin to imagine just how it would be used. Continue checking back for more information on the Playstation 4 and the titles that it will offer. We’ll have more information as it develops!